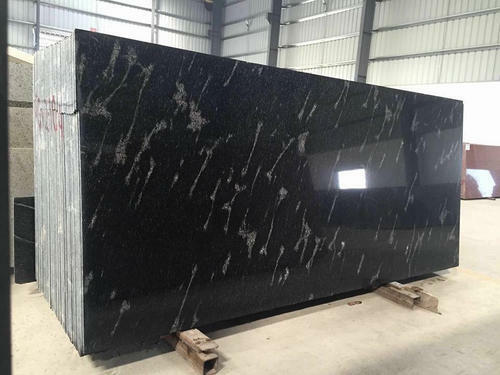 We offer to our client a wide range of Black Pearl Granite. Roots of the industry-leading Manufacturer, Trader, Exporter and Importer firm of quality sourced Tiles, Marbles and Artifacts, "Rms Stonex", dated back in the year 1978. Our ambition to become the top tile manufacturer company is supported by a wide array of premium grade products, which includes Marble Texture, Granites, Makrana White Marbles, and Marble Jalis And Stone Work. As a result of our competitive positioning and improved performance, our products have become a hallmark of quality featuring myriads of benefits of absolute purity, perfect finish, blemish-free shine, and cost efficiency. Our importing countries are Turkey, Italy, Spain, China, Vietnam, Brazil, Oman and exporting countries are UAE, USA, Maldives. We offer an array of products that combine our association with finest marble quarries and top of the range manufacturing advancements. Further, owing to our domain expertise and strong command over the market insights, we have become able to garner evolving client needs. Moreover, the commitment of our diligent team members equips us to exceed all the objectives and earn strong trust from a huge customer base. Our offered products are sourced from finest quarries and processed at our highly advanced manufacturing base to render an attractive shine and appealing look to each tile. Further, amidst the increasingly complex business environment, we have become successful to position ourselves as the leaders due to our client-centric approach and unwavering focus quality.